Republicans are obfuscating the debate by offering a false choice between gender equality and the public financing of elections, when really the two issues are deeply linked. Needless to say, public financing of elections is not about drafting citizens to endorse particular politicians. Rather, devoting tax dollars to funding campaigns is a smart and urgent way to dilute the influence of big money, which warps our politics and makes citizens bystanders as the public coffers are drained to reward private donors. But there’s a larger lesson here. As we’ve seen since Cuomo reached the Governor’s Mansion, there’s a big difference between what the governor backs on paper, and what he’s willing to put his considerable political muscle behind (more often than not, it’s “social issues” where Cuomo chooses to champion progressivism). Perhaps the governor believed all along (incorrectly) that he only had the power to pass one of these landmark pieces of legislation, and chose to put them both out there, thereby creating competition between the movements backing each. But we need campaign finance reform, and we need a Women’s Equality Act that takes on domestic violence, sexual harassment, workplace discrimination, pay inequity, and attacks on reproductive choice. This situation offers a challenge to progressives, who too often allow themselves to be placed into single-issue silos, and thus pitted against each other. We should know by now that regressive policies usually hit women the hardest, and single moms are often the most acutely affected of all. When we treat “women’s issues” as distinct from clean elections, or labor, or foreign policy, we endanger women and hold back progress. Defeat or delay for clean elections means fewer women in office. There is a ton of data that women candidates win at the same rates as men. The problem is, they don’t run at the same rates. And the #1 issue given by prospective women candidates who consider but then do not run is that they don’t think they can raise the necessary money. New York’s public financing proposal will, in fact, enable enormous numbers of women to run. Just look at Arkansas, where last year the Democratic Party lost the state house for the first time since Reconstruction. Culprits include Koch brothers cash. Once elected, Republicans quickly passed a twelve-week abortion ban, a frontal assault on the lives and autonomy of women across the state. That blatantly unconstitutional law will also have to be defended in court. In austerity-era Arkansas, that will no doubt sap needed resources from already-hamstrung programs that women and children count on. For progressives, there may be single-issue campaigns, but there are rarely just single-issue defeats. There is an alternative. Governor Cuomo has the chance to mount a real fight for a bolder agenda now. That includes centralizing women’s equality in his agenda, and pairing it with public financing, because they go hand in hand if we care about economic justice and social progress. In the meantime, it falls to the rest of us to build deeper ties, and a less compromised and compromising political movement—demanding a government that respects and reflects women’s dignity and autonomy at the workplace, the doctor’s office, and the ballot box. As history has taught us, an injury to one is an injury to all. 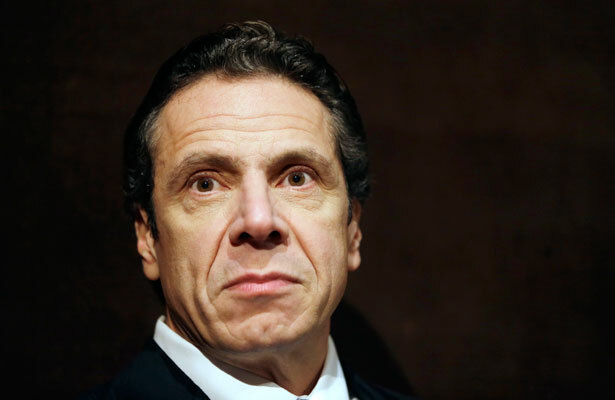 Governor Cuomo wants to get rid of that pesky Working Families Party, Katrina vanden Heuvel writes.